Located near southern California and Sand Diego beaches, a Villas at Rancho Valencia fractional resale in Rancho Santa Fe, California offers a great place to vacation for those looking for fun in the sun. Also nestled in the California valleys and rolling hillsides, wineries and olive groves abound. The beautiful villas at this luxury resort promise to leave you with a lifetime of priceless vacation memories. The San Diego valley is well known for its beaches, fabulous wine country, and family friendly attractions. Pristine shores and nearby wildlife attractions, are just a few of the things this luxurious area have to offer. The rich and famous from Bill Gates to Janet Jackson have called the area home for good reason. The climate is not typical of California, and from time to time even sees snow! Hit the San Diego Zoo, SeaWorld San Diego, indulge in some scuba diving, or just lounge oceanside. If you like hitting the links golf is also nearby, as well as fine dining and some of the best shopping in California! 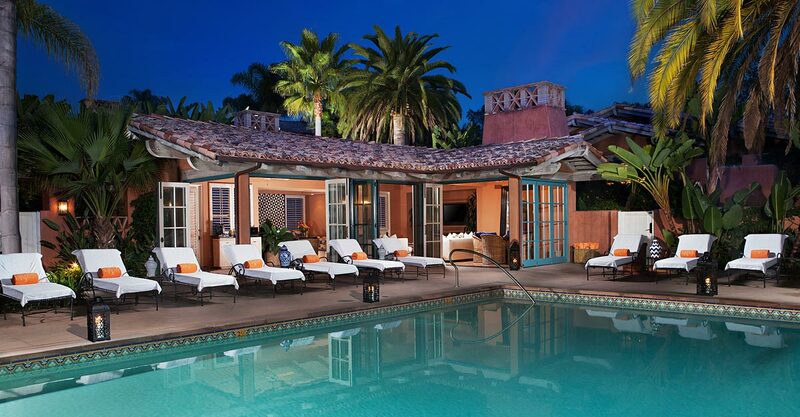 Elegance and style personify the Villas at Rancho Valencia. Lounge in gorgeous 1,2, or 3 bedroom suites with outdoor pools and Mediterranean inspired rooms. The resort offers award winning on site dining, tennis, access to world class golf courses, and is just minutes from many local attractions. Spa lovers can enjoy the Serenity Yoga Studio, Pilates, spin room, and first class work out studio. Take advantage of the on-site complimentary beach cruiser bike rentals. There are dedicated concierge services that will meet the needs of any guest, and to top it off, members have access to the resort’s personal fleet of Porsches. There are pre-arrival grocery services, room service, and the Villas at Rancho Valencia even offers in suite personal chef services to add an extra touch of class to that romantic dinner. Buying a fractional ownership resale at the Villas at Rancho Valencia is a great way to experience 5-star luxury year after year. This award winning resort is the perfect vacation destination for anyone looking to be pampered, enjoy world class dining, spas, tennis, and all around top notch accommodations. Premier Timeshare Resale and our knowledgeable licensed RE/MAX agents can help you find your slice of heaven at the Villas at Rancho Valencia, and buying resale can save you thousands. Contact us and be on the way to your dream vacation in paradise!